If one of the projects on your home-improvement list for this coming spring is to install a new fence, you might want to reconsider your timeline. Installation of a residential fence during the fall or winter offers several benefits, both to your budget and to your lifestyle. Fencing contractors, like most construction businesses, get busier in the spring and summer. In order to keep their best workers on the payroll and busy during the slower months, fencing contractors often will offer discounts or upgraded products for the same price if you keep them busy in the winter months. Imagine stretching your budget dollars into getting a custom-made fence, rather than a standard privacy fence, or a vinyl or wooden privacy fence instead of chain link. Planning for your fencing project in the fall gives you more time to work with our professional designers to determine where you can save and spend those extra dollars to make your project more spectacular. By scheduling the work during the winter when crews are less busy, you won't have to wait to get your project started. Plus, we are more likely to commit a larger crew to your project to get the work done faster. If you wait until spring to contact us, you likely will be on a waiting list and may not see your new fence until closer to summer, and the actual construction could take longer as crews are split between multiple ongoing projects. Another time-saver comes if there are any bureaucratic hoops we need to jump through to make sure your project meets all city codes. That can be accomplished more quickly when building permit staff are less busy, as well. If you have other work you are considering for the winter, such as a basement repair or pool installation, we can work with your other contractor to coordinate the projects and minimize disruption to your life. We can potentially help that work go smoother if we need to take out an old fence to allow them to get equipment in, then we could install a temporary fence during the work and get your new fence in once the heavy equipment no longer is needed for the other project. Installing a new fence during the offseason may allow you to upgrade your fence at a lower cost. Working during the winter when much of your landscape has gone dormant is less damaging to your plants. If you have bushes or roses that are near where the fence will be installed, they can be trimmed back or even relocated during their dormancy without causing long-term damage. Your grass will have gone dormant and won't be affected as dramatically by our equipment and workers. Also some of your perennials will be safely protected under the soil as our crews work above them. If you do need to replace some plants or re-landscape areas where the fence was installed, getting the fence project done during the winter will give you a head start in getting new plants in the ground come spring. By getting them in early, you'll ensure they are well established before the summer heat causes stress that can harm immature plants. If you work with a professional landscaper or designer for your lawn, they will gain the benefit of planning their design around the actual fence and not just making their plans on computer with a notion of how the fence will look after installation. They will be able to take photos of the completed fence, and then show you precisely how their proposals will complement your new fence. Maybe the biggest benefit of all is that, with the fence installation out of the way by the time spring hits and warm temperatures lure you back outside, you will be fully able to enjoy your yard. Whether you desire your quiet time sitting by the pool or digging into your soil, or if you'd rather have the whole neighborhood over for a spring celebration, you won't have to delay your plans until your fence is complete. Getting outside after the winter chill disappears and before the summer heat settles over us can be a therapeutic time, so you don't want to miss out on that golden opportunity. 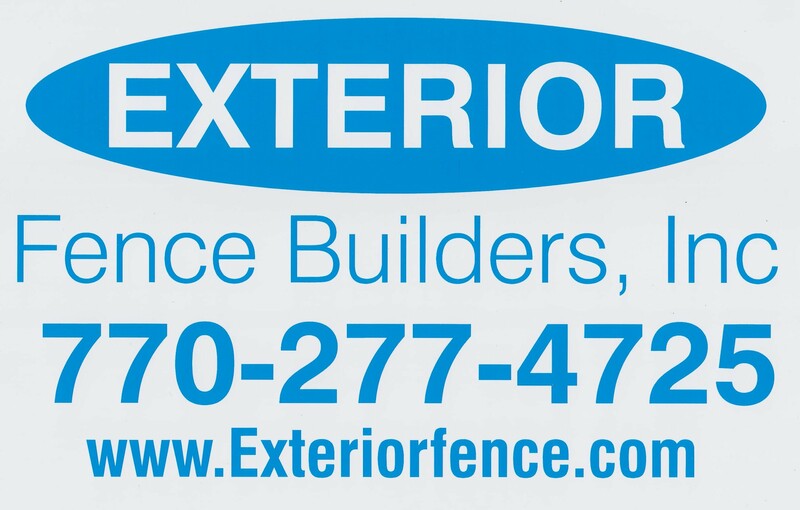 Exterior Fence Builders Areas we service.